The beauty consultants at TheBeautyPlace.com believe long gone are the days of weekly manicures, bi-weekly root touch-ups with the stylist, and expensive spa treatments. They state budgets may have changed, but routines are still the same. Many of their clients “get the kids ready for school, go to work, come home and organize the house, prepare dinner, get the kids to bed, and there days are still not done”, commented Rebecca, lead beauty consultant of the online company. The beauty consultants feature beauty picks essential for an “at-home spa day”. 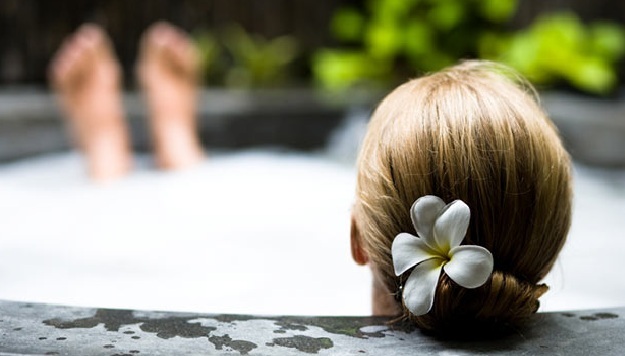 “Grabbing your plushest bathrobe, lighting a few candles, and preparing a nice pitcher of “spa water” are my recommendations for a simple rest and relaxation day at home”, stated Rebecca. The beauty consultants suggest their favorite recipes like a citrus drink made up of a mix of sliced oranges, limes, and lemons. For a melon flavor drink, slices of watermelon and lines, and for a mojito spa drink, sliced fresh pineapple, a slice of fresh ginger, and a handful of mint sprigs. The main ingredient in the spa water drink: water. The International Spa Association defines the word spa as “places devoted to enhancing overall well-being through a variety of professional services that encourage the renewal of mind, body and spirit.â€ The beauty consultants recommend easy treatments for nails, hair, and body. They advise on how best to use the products.